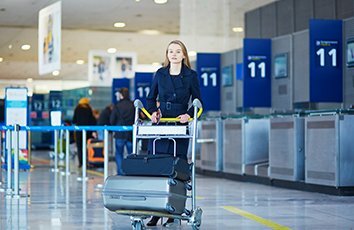 If you are travelling on holiday or going abroad for a business meeting; you wouldn't want to worry about getting to the airport on time or being picked from the airport when you return. Regardless the number of passengers to move, be it a large group of delegates or a small family of four, we can help you arrange everything. All you need to do is pick up the phone and call our Bracknell minibus hire. Our ever-responsive customer support team will confirm the booking, keep track of your flight, and make sure the driving is at the arrivals area, to greet you as you exit. With our Bracknell minibus hire, you can be assured of a comfortable andhassle free transfer from the airport, without having to spend time on the taxi rink, split up your group, or struggle with your luggage on public transportation. Likewise, when you have a flight to catch, our minibus is your best bet to ensure you reach the airport on time. Our highly skilled and experienced drivers are familiar with theregion, and know the best routes, including diversions to take, to avoid traffic jams. Bracknell, being under 40 miles from London is served by Heathrow, Gatwick, and all other airports of London.